British heavyweight champion Tyson Fury will fight undefeated Neven Pajkic for the Commonwealth title next month. Both fighters are undefeated and they are set to fight at EventCity, Trafford Park on November 12th. Fury should come through this fight with relative ease and add the Commonwealth title to his collection. But once this fight is out the way; it will be time for Fury to really step up in class. I’m not saying the Klitschko’s because they’re too far ahead of Fury but the likes of a Tomasz Adamek, Alexander Povetkin or even a Mike Perez. Fury and his promoters, Hennessy Sports, have done a lot of talking regarding how good they believe Fury is; it’s time he proves it in the ring. 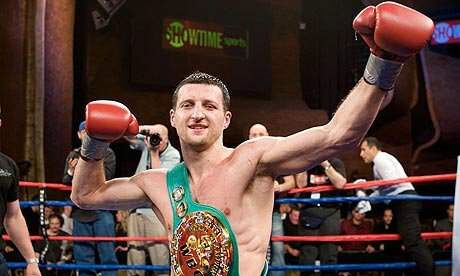 Carl Froch has officially confirmed his split from Hennessy Sports promotions. There have been rumours for weeks but the WBC super middleweight champion has confirmed the split from long time promoter Mick Hennessy. I’ve been a long time fan of Carl Froch and firmly believe this could be the best thing to happen to him. For one reason or the other, Froch has not received the backing from British fans or TV stations, while the likes of David Haye, Amir Khan and even Audley Harrison have received fantastic backing from the TV stations. Froch has admitted he’ll promote himself for his next two fights, which are already mapped out in the Super Six tournament, but once that is over I believe one of the big UK boxing promoters should step in and sign Froch up. He is a fantastic fighter who never backs down from a challenge and is always in exciting fights; he is a promoters dream in my eyes. If I was Ricky Hatton, I’d be straight on the phone to Carl and sign him up. He is just the sort of fighter Hatton needs to help his promotion company; he could be their star name. And Hatton could do wonders for Froch too. Hatton is probably the most popular British boxer in history and his popularity could definitely help Froch gain the wider exposure he deserves. Whatever happens, I really hope Froch does get some better exposure because he has been greatly under appreciated by British fans for far too long. 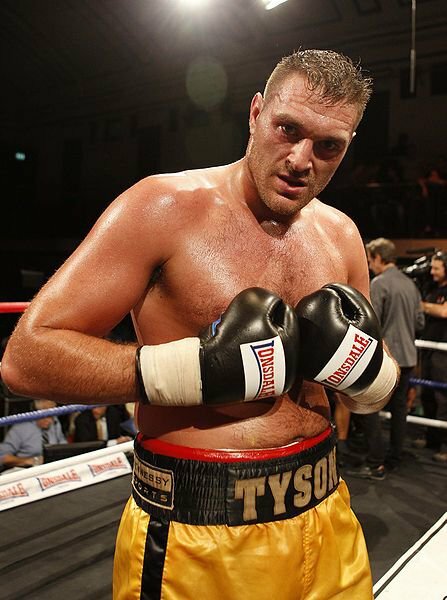 Hennessy Sports has won the rights to stage the highly anticipated heavyweight clash between fellow Brits Tyson Fury and Derek Chisora. Hennessy Sports outbid Frank Warren at the British Boxing Board of Control’s Cardiff offices yesterday. They must now set a date for the fight (which will be for Chisora’s British title) within 14 days. Now this fight, if it goes ahead, would a fantastic opportunity for these fighters to really put their name on the heavyweight map. I know Chisora was lined up to face Wladimir Klitschko but that has fallen through now and this is going to be a tough task for him. Chisora will be hurting not only from the cancellation of the fight, but because David Haye has stolen a march and got his shot at Wladimir ahead of him. This fight against Fury will give ‘Del Boy’ the chance to show he is mentally tough to hack it at the elite level. Now whenever I’ve seen Fury (which hasn’t been a great deal), I haven’t been too impressed. For his size and frame I feel as though he should be dominating his opponents more. He has all the ingredients to make it to the top but I wonder if his mind is truly focussed on the job. But legendary trainer Emmanuel Steward believes in him and this is his chance to really go out there and make a statement. The last time there was a grudge match between two British heavyweights for the British title, it was when Audley Harrison squared off against Danny Williams. Now I’m expecting this fight to be much better as there does seem to be a bit of needle between the two and there has been a lot of talk, even before the purse bid was won. Well soon enough the time for talking will be over and these two will have to step up to the plate but the question is; who will it be? Be sure to keep checking back for the latest news regarding this fight.